This is our first summer living at the new house, and I am so excited to have a big backyard. So many projects and work to do to make it a little getaway! 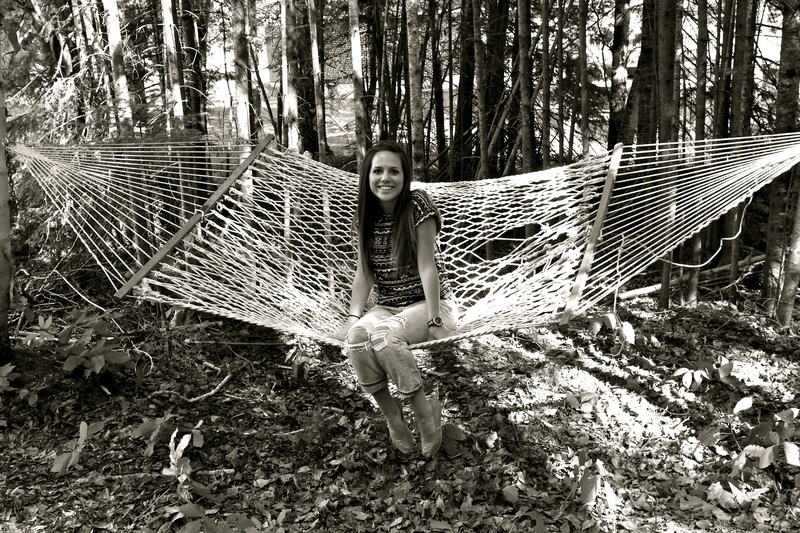 This past weekend we worked on the hammocks! We now have two hammocks hanging in the back beside our fire pit. 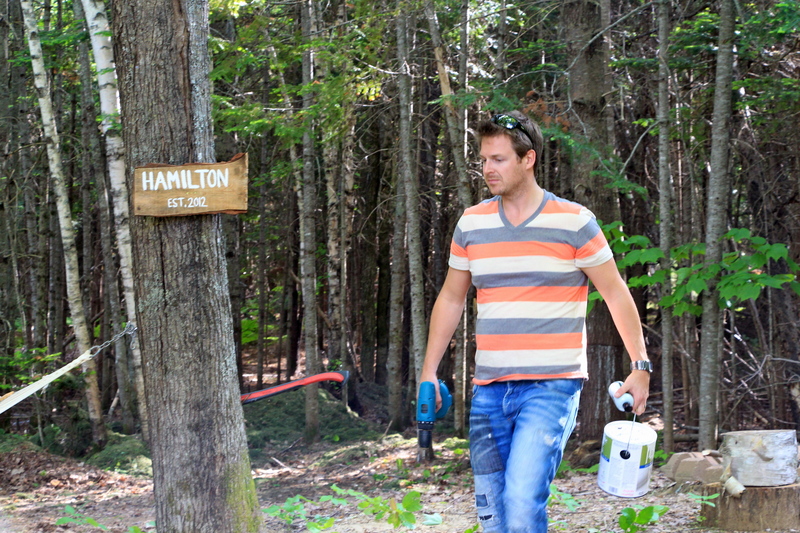 They were just old hammocks that we had at the cottage, but no one was using them down there! They are so comfy and cute, I am glad we were able to hang them at our house! 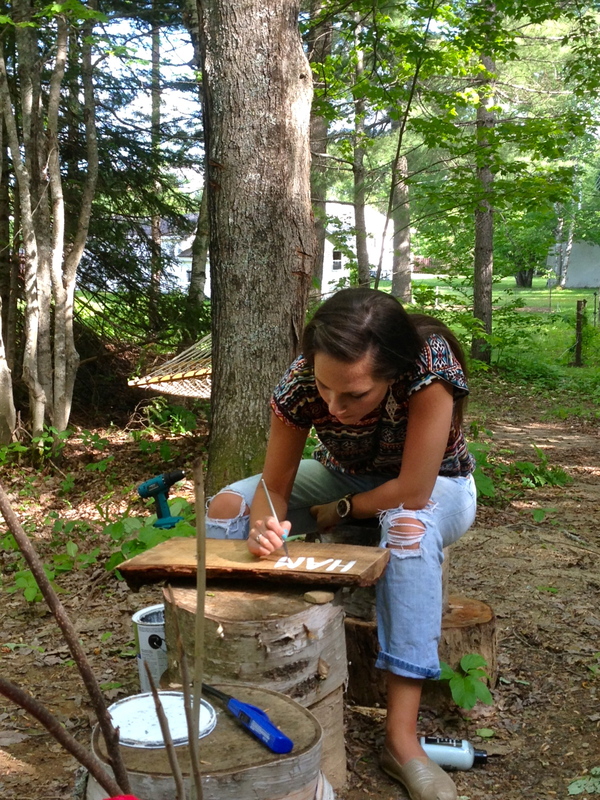 I also wanted to add a personal touch back there, so I made a sign out of an old peice of wood and some paint! Wade drilled it to the tree once it was done! 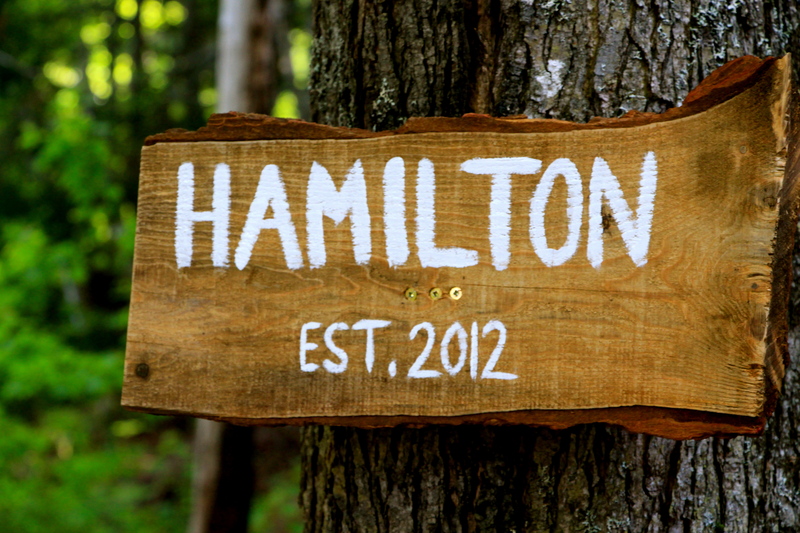 Our ‘Hamilton Est. 2012’ sign literally took minutes to make and it added so much character! I cannot wait to spend the summer in our backyard! There is something so relaxing about it! What are some of the things you have added to your backyards to make it your own? Please share and stay tuned for more backyard projects!